This lesson will show you how to sync your EZFacility calendar with an external calendar such as an Outlook, iOS, Google calendar, etc. 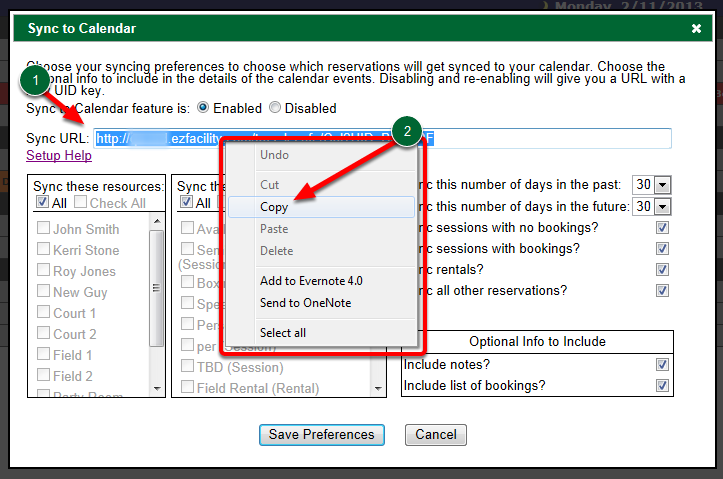 Choose your syncing preferences to choose which reservations will get synced to your calendar. Sync to Calendar feature is: Allows you to Enable or Disable your calendar sync. *Disabling and re-enabling will give you a URL with a new UID key. Sync URL: Allows you to copy and paste the link to your external calendar. - See below for examples. Sync these resources: Allows you to select all resources, or you can uncheck the "All" box and select specific resources from your list. Sync all other reservations? 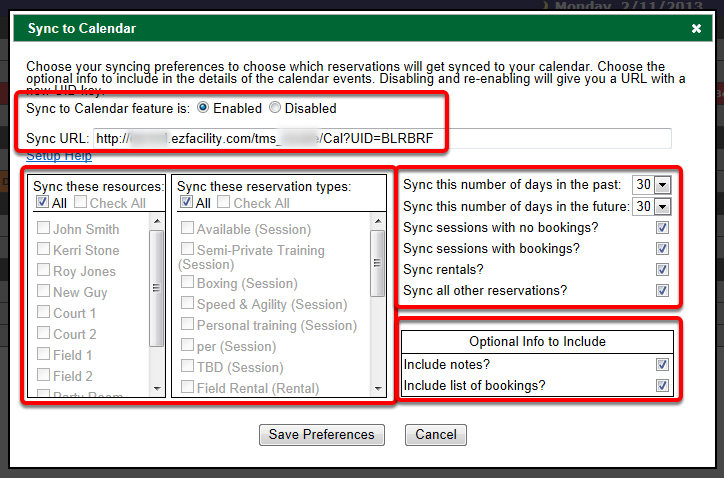 Allows you to sync other reservations such as special reservations - Program Instruction, Unavailable, Etc. Click on Save Preferences when you're finished setting your preferences.